Guy is a Licensed Cadastral Surveyor with twenty years surveying experience. He was born and bred in Dunedin and has worked in various locations around the world such as England, Egypt and Saudi Arabia. 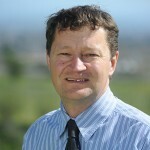 He has also worked in Taupo and Hawke’s Bay (since 2001). Guy works out of the Napier office, and performs project management, resource consent and land development engineering work, primarily between Hastings and northern Hawke’s Bay. Guy is a member of the Management Committee of the Consulting Surveyors of New Zealand (CSNZ), a branch of the New Zealand Institute of Surveyors. The Management Committee meet quarterly, and Guy enjoys interacting with experienced members of CSNZ on a professional and personal basis. He has a particular interest in building enduring developments that improve the use of land, and believes good urban design and sustainable development are essential for the wellbeing of our communities and future generations.